There is another reason to celebrate for the month of August. This is because of the two special days on the last week of this month. August 29 is a regular holiday in celebration of National Heroes day. August 30 is also a holiday celebrating Eid ul-Fitr which is a conclusion of the Ramadan of Muslims. National Heroes Day day is dedicated to the memory of the Philippine heroes all throughout history of our nation. It is observed every last Monday of August. 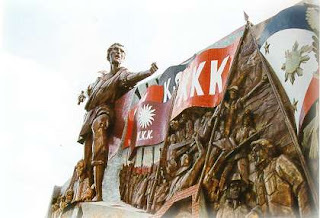 It is a regular holiday marking the Cry of Pugad Lawin by Filipino Revolutionary forces called the Katipunan led by its Supremo Andres Bonifacio. Eid ul-Fitr. The first day of Shawwal, the tenth month of the Islamic calendar, is declared a national holiday for the observance of Eid ul-Fitr, or the Feast of Breaking the Fast (of Ramadhan, the ninth month). The law was enacted in deference to the Filipino Muslim community and to promote peace among the major religions in the Philippines. Well here is the question that you might find amusing to answer. What will be your activities on this upcoming regular holidays?